For some time now I'm reading about brazing. I got myself a proper torch (just need oxygen and fuel). As I live in Ireland no chance for proper course... have to do it on my own. I have an ladies high nelly in bad condition and idea to redo this bike into something different (something like velocino). I figured out that if I just move head tube down towards bottom bracket job will be done. easy first project. Question is. Is it possible to "unbraze" head-down tube connection? I was thinking to cut frame in proper distance from bottom bracket and then try to remove leftovers from head tube by heating it up to brazing temperature and twist tubes to remove them from head lugs when old brazing is soft enough. Then braze it back on where I want it to be. Without a large furnace to heat the whole assembly to brazing temp, you are not going to simply twist the tubes out of the lugs. You may be able to save the lugs, but the head tube will not survive. The best option is to cut the tubes close to the lugs and carefully grind them out with a rotary tool. I think for that project, I would hacksaw off the front end and reconfigure it. It's put together with bronze, it's not going to come apart easily. A few points to removing brazed parts from each other. You have to heat the entire brazed area ABOVE the temp it took to join them initially. Single point heat sources, like a torch's flame, is not a good choice for this (see dsaul's reply). If the OEM filler was a brass (as most every production frame has) then this temp is very close to that which will cause localized failure in a thin steel part (think lug or tube). Next is whether the joint has some other joining method used. Like pins (unlikely in a production bike) or tack welds (more common on 1970s Asian low cost bikes). One needs to know what they are fighting before going into battle. Of course knowing how the parts are to separate and the direction they will take once loose is important, You don't want to have a hot something falling onto a fuel hose . Since only one joint is reasonable to separate at a time, if the part is attached at more then one end (like a head tube) then cutting it in half and removing one end at a time is the trick. If you must try to remove the head tube I suggest following dsaul's suggestion of grinding out the old head tube. It's slow but slow brings along an ability to control and limit damage not intended. It's what I've done a few times when replacing a tube. If you're going to shorten the DT then following Eric's idea of just cutting off the old ends/head tube and remitering to install a new HT is far faster. Either way some bending of the top or down tubes to fit the now different geometry goals is likely. Depending on how much bending and what the tubes are this might go pretty straight forward, or not. Then there's the issue of alignment of the new HT WRT the seat tube, the steering angle wanted and also maintaining the BB height/seat tube angle. There's a bunch of things going on all at the same time to consider. this is a frame to try on - its a donor bike that will end in scrapyard so, not much to loose. I have some experience with welding and soldering. and just doing first steps in brazing. Thank you for suggestions. I'll try to grind out one tube and unbraze second one (head tube with small sections of down tubes allow me to do one at a time. ) and see hows that going. Its ladies bike and two down tubes are parallel so I think there will be no bending needed. will see. One of the things we did to replace tubes at Trek was to cut a piece out of the damaged tube and drill some holes so a bungee cord could be used to put tension on the stump to be removed. Then a couple torches with "rosebud" tips to heat the joint until the brass melts. The bungee cord puts a uniform, straight tension on the stump and minimizes the risk of damaging the lug when the tube is extracted. The problem with twisting the tube during removal is that this often destroys the lug. fdx- How much shortening of the effective top tube length are you planning? Will this shortening result in toe/tire overlap (and whether the overlap is acceptable is another question)? 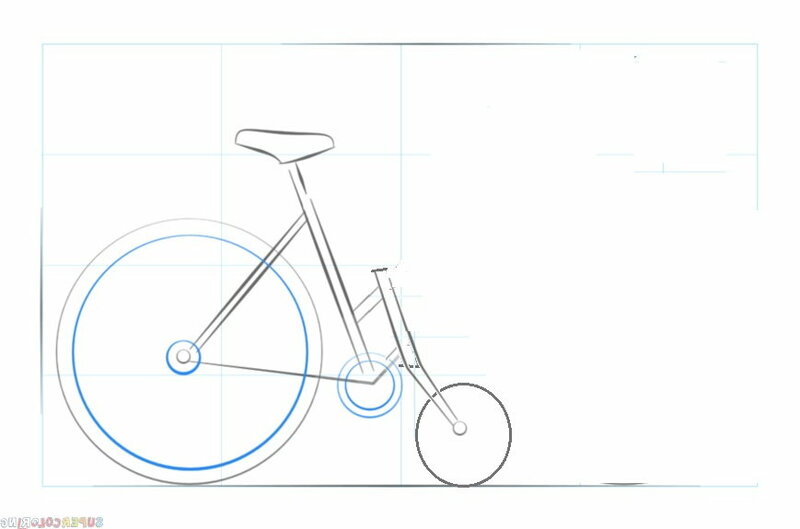 Have you accounted for the lowering towards the ground of the head tube's bottom (assuming about the same amount of HT extends beneath the lower surface of the DT), of are you good with the raising of the BB height and slacking back of the ST angle? "One of the things we did to replace tubes at Trek was to cut a piece out of the damaged tube and drill some holes so a bungee cord could be used to put tension on the stump to be removed." I had my son pull one end of the tube while I lit up the lug with a large flame. It worked, sort of. Ended up twisting the tube to get it to break loose from the heated joint. Destroyed the tube, but it came out! fdx- How much shortening of the effective top tube length are you planning? Will this shortening result in toe/tire overlap (and whether the overlap is acceptable is another question)? Wheelbase is very short and front wheel small, overlap is not an issue. just a little twist of front wheel allow for sharp turns. you can try it, I think that you might find that it takes more heat to un-braze than you would expect. I would cut the down tube/top tube out, leaving enough on the head tube to use that piece complete. Then remove the tubes at the seat tube. You want to check if they used pins, I have no idea if that kind of bike was pinned, but it will make removing the tubes unlikely if not removed. You can just drill them out if they are there. Now understanding the goal I would question why one would even consider removing the HT with heat instead of just replacing with a new length. HTs are among the cheapest of frame tubes and I'll use generic USA 4130 sometimes anyway. But if you wish to try and learn I see no problem with that, being a learning moment.